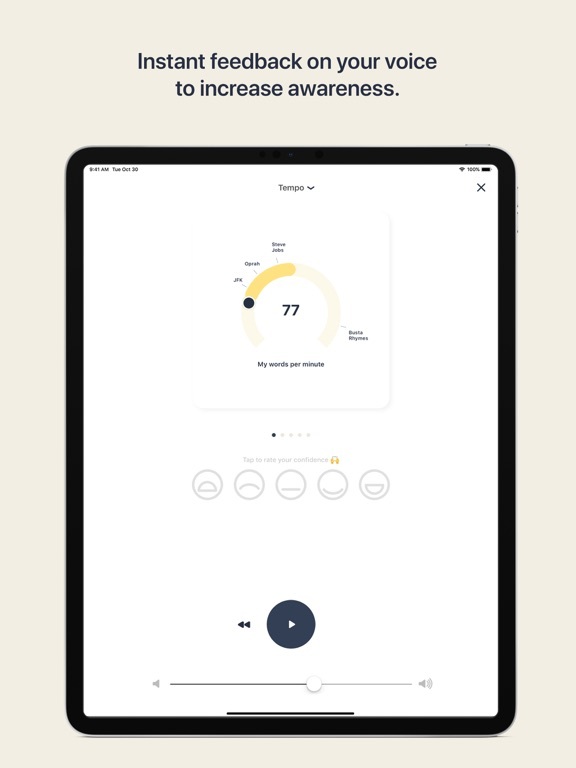 Auch wenn die App nicht konkret für die Logopädie entwickelt wurde, bietet sie doch gute Möglichkeiten, sie auch in der logopädischen Stimmtherapie einzusetzen. Gerade wenn es um den Feinschliff der Stimme geht. 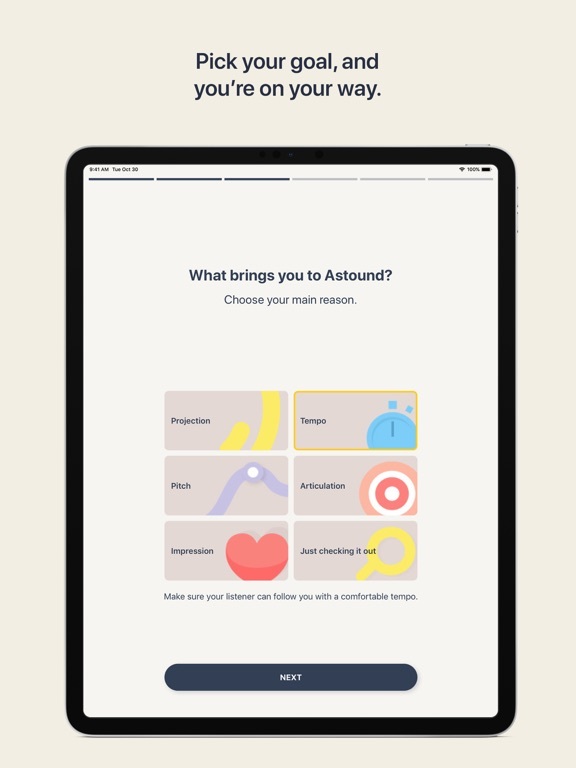 Astound teaches you how to become a confident communicator by providing you with professional voice and speech coaching techniques. 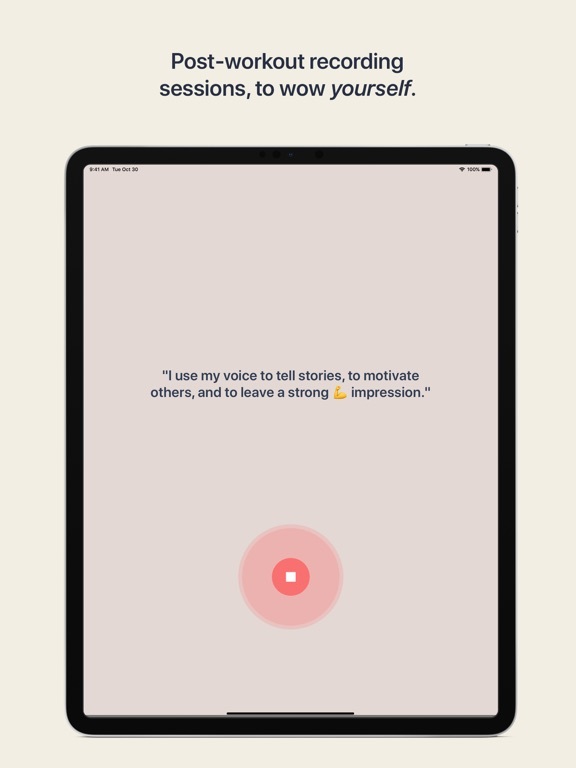 Simply downloaded and select a goal, like using your voice to make a stronger impression, speak slower, or enunciate clearer, and get video guided articulation, voice, breathing, and stretching exercises. Increase your awareness, and keep track of your vocal progress by recording your voice, and comparing your recordings. We provide feedback to make it easier for you to focus on what's important. Users report hearing a difference in their voice after just 5 minutes of practice. And those who made it to Day 3 of Astound's 30 Day Challenge report a new relationship to their own voice, and how they present themselves to others. - Talking speed: how to speak calmer and at a slower pace so that your listener can follow every single word you say. - Speaking volume: how to speak with such power and resonance that others can hear you across the field, or in a noisy bar. - Vocal pitch: how to speak with an authentic pitch, and modulate your voice in way to keep your listener engaged. - Impression: how to use your voice to grab attention, and impress your listeners. - Astound offers an extensive library of 100+ easy-to-follow breathing, articulation, stretching and voice exercises. 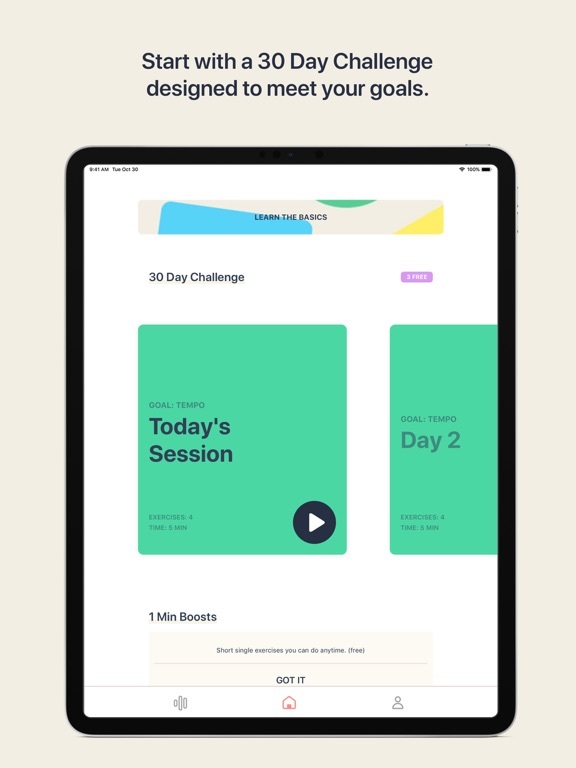 - Byte-sized practice packs for specific goals, like preparing for an interview or presentation on stage, an important meeting or call, talking in front of a group, or even your next date. 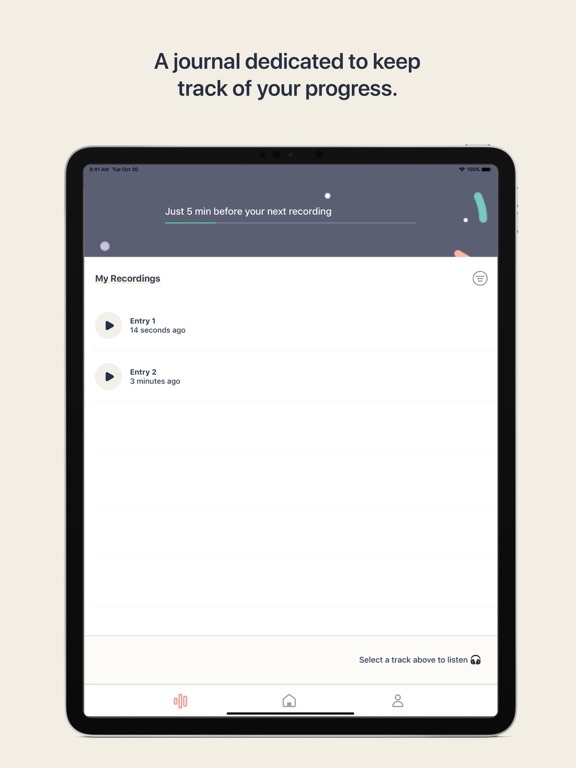 - Voice recordings to keep track of your progress, like a journal. - Feedback on your modulation - how your voice's pitch frequency changes over time. 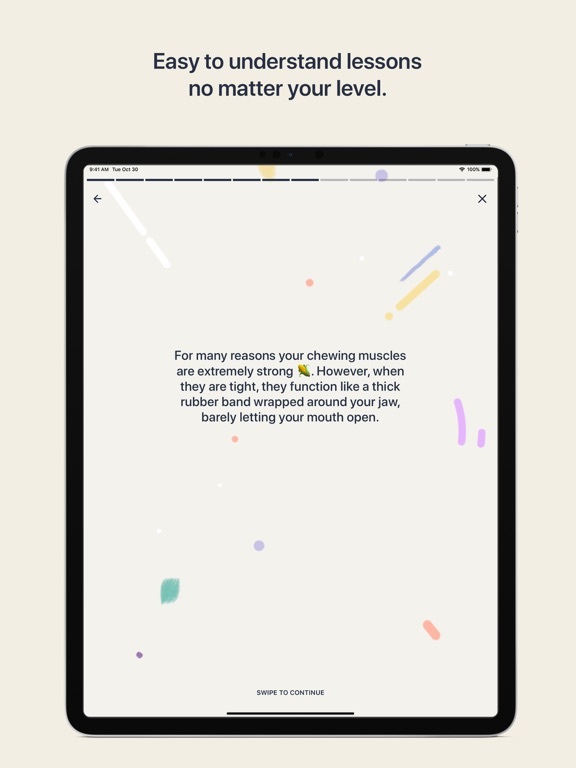 - Practice reminders as a friendly nudge to help you build that healthy habit. 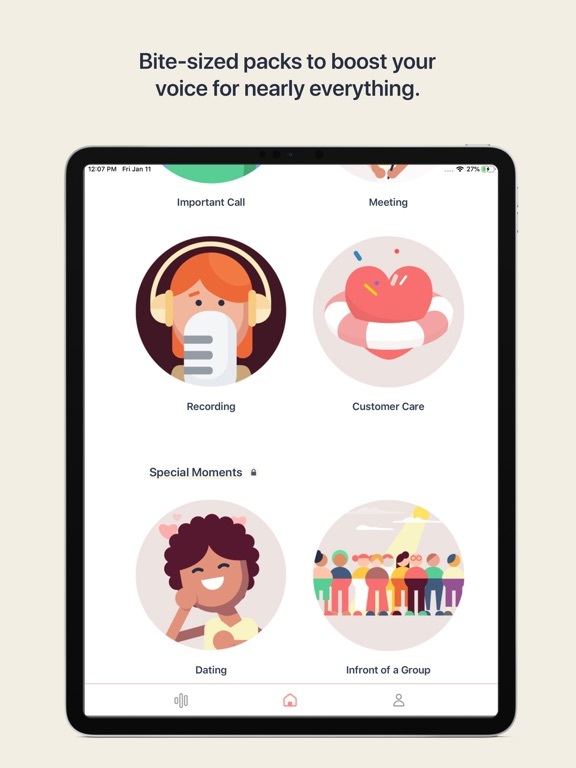 - Perfectly timed option to send your friend a voice message. Omg, they're going to be so impressed, big heart emoji. - Voice alone can impact, and influence your listener in a positive way. - We feel better and more confident about ourselves with trained voices. Your Astound subscription will automatically renew, and your credit card will be charged, unless auto-renew is turned off at least 24-hours before the end of the current period. Any unused portion of a free trial period, if offered, will be forfeited when you purchases your subscription. You can turn off auto-renew at any time from your iTunes account settings, but refunds will not be provided for any unused portion of the term. Have an amazing day, and get ready to make every single word count.